A convenient assortment of parts to keep on hand. 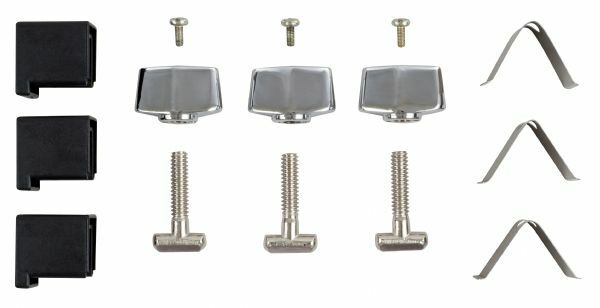 * Cast steel wing nuts with zinc coating and cast steel T-bolts are interchangeable with PlanHold Safco and Mayline clamps. * Contains three pieces each of T-Bolts wing nuts wing nut stop screws jaw springs and end caps. 3.5" x 2.88" x 1.25"